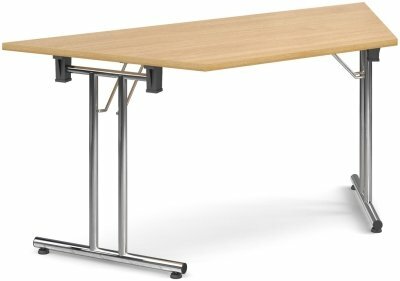 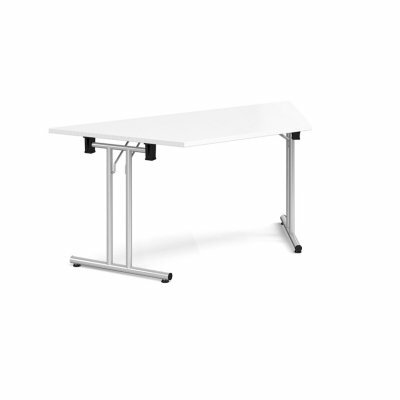 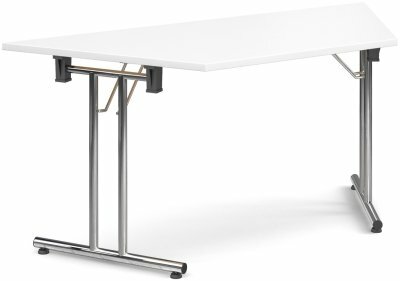 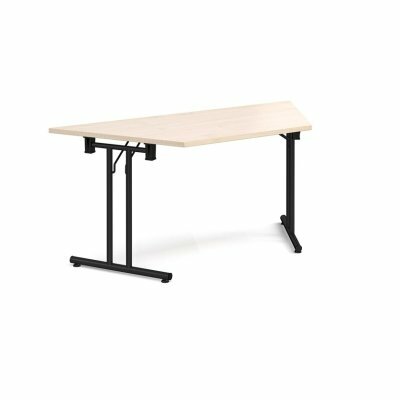 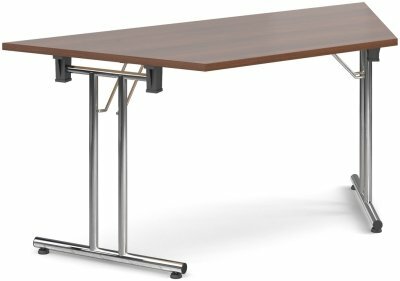 Deluxe folding leg trapezoidal flexi table with a 25mm thick MFC top available in five wood finishes. 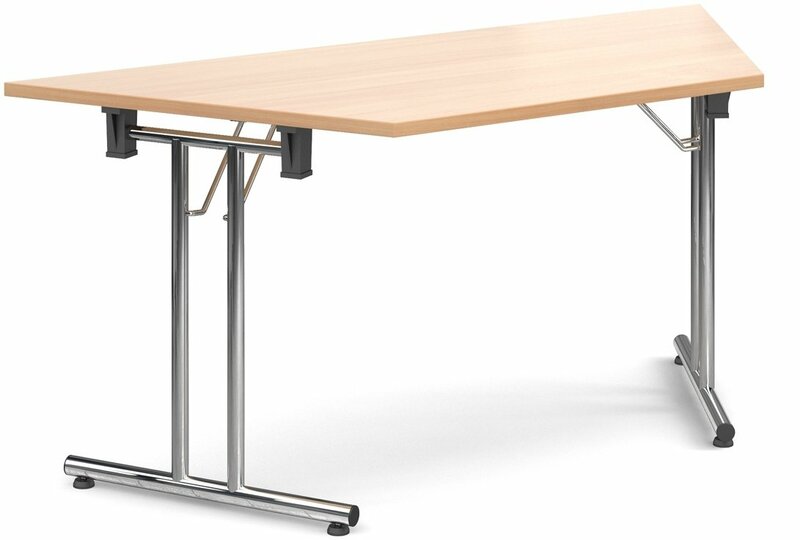 16 gauge tubular steel chrome, folding legs for easy storage. ABS edging is included on the tops to protect from impact damage. Legs include height levelling feet.